Clean up the clutter in your home and clear out worry from your life with this guided meditation and relaxation program, from certified hypnotherapist, Joel Thielke. It's as easy as turning on the tracks and falling asleep! The Sleep Learning System is specially designed to work with your subconscious mind during your sleep cycle. Turn your dream into a reality and start taking charge of your future today with this soothing guided meditation program from hypnotherapist Joel Thielke. It's as easy as turning on the tracks and falling asleep! The Sleep Learning System is specially designed to work with your subconscious mind during your sleep cycle. The guided meditation and soothing background music will deeply relax your body and mind for the perfect night's sleep, while allowing you to access the deepest parts of your mind. Get the total determination to reach your goals, beproactive, and become super motivated with this guided meditation program, fromcertified hypnotherapist, Joel Thielke. The Sleep Learning System is specially designed to work with your subconscious mind during your sleep cycle. The guided meditation andsoothing background music will deeply relax your body and mind for the perfect night's sleep, while allowing you to access the deepest parts of your mind. Withthis program, get motivated and focused to reach your goals with total determination. You'll feel well rested and energized when you wake up, and with every time you listen, you will feel motivated and focused on taking stepstowards success. Joel Thielke's guided mediation system gives you positive suggestions that will help you quiet your mind and melt away stress, leavingyour body deeply relaxed for a great night's sleep. 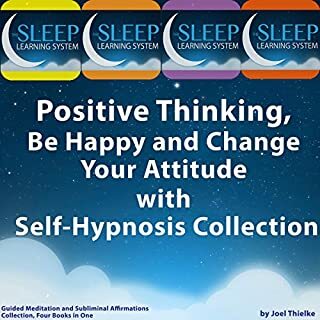 While you're sleeping, the program will get rid of limiting beliefs and help you embrace self-motivating,positive beliefs that will keep you focused on success and keep you taking steps towards your goals. The special inductions will gently guide you into your REM stage of sleep, working with your subconscious to make lasting change that youcan see. 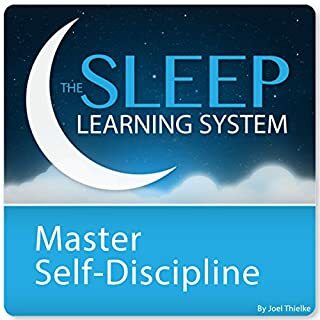 This Sleep Learning System album comes with two extended tracks that include the Sleep Induction and Garden Induction, guided meditationprograms, and bonus music and positive subliminals, providing hours of relaxation for your listening experience. The most peaceful relaxing read in my library. Even for a short nap this AB is terrific! The authors voice is a soft as music. The music is like the soothing sounds of nature. A must have for anyone's library. Great narrating and very soothing. You have to be committed to listening every night though. No content 95% music. Should be words in between without listening to lame music. I would still look out for another book, an enriching one. Seriously terrible. the first minute or so is missing. when you press play it starts randomly. you skip a step of relaxing amd actually getting into it. good. good. good. good. good. good. good. good. unique. fabulous. scintillating. amazing. awesome. humbling. restful. Studying for accountancy and I notice an immediate difference from when I listen to this audio the night before, while falling asleep, compared to when I don't. I am noticeably able to remember more, feel less distracted and absorb information faster and easier. You need to do it often, but it really helps to relax and switch off and has noticeable rewards afterwards. Will definitely be looking at more of Joel's material for benefits in other areas. I Really didn't meet my expectations. I found the backing music irritating and some of the language is mentally engaging.